I recently applied to take part in the Money Supermarket Charcoal Challenge, where you are given a budget of £50 to host a Barbeque. Now I love to put on a good foodie spread but at the moment we are having the whole of our garden re-vamped so we set to have it at the in-laws - after all they would be invited. We had planned to have the BBQ sooner, but good old British weather had made changes to the plans, so 2 weeks ago we set to have our BBQ and perfect timing as the weather took a fantastic turn. When the weather turns warmer everyone feels obligatory to host a BBQ, you don't want to be stuck inside when you could be enjoying the weather, however the cost of these can become expensive. 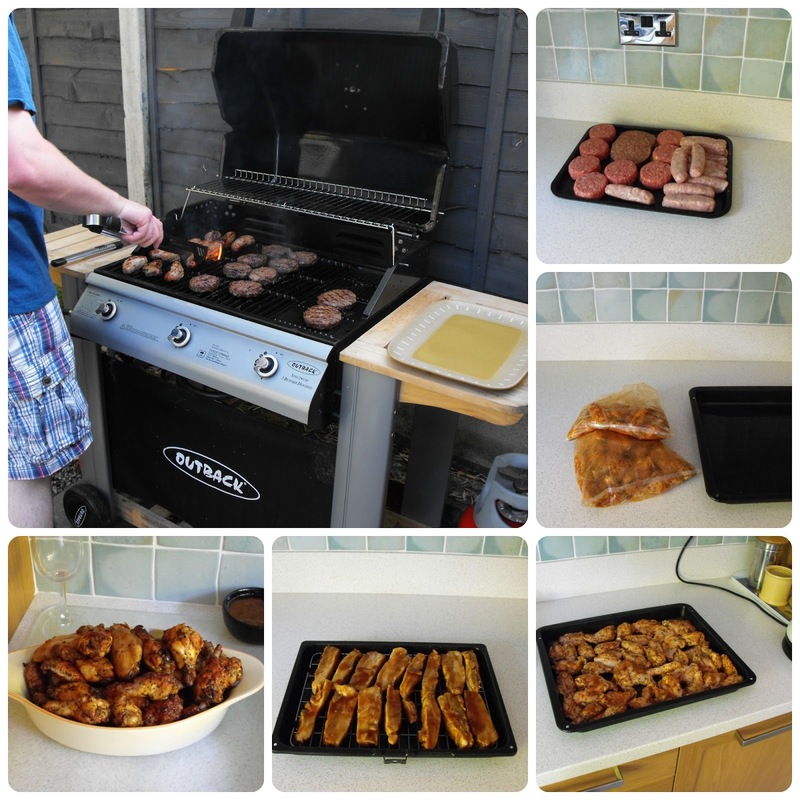 Money Supermarket set the challenge to enjoy a BBQ on a £50 budget, some may say simple but when you add up the cost of the drinks, food, and charcoal or gas it can become a lot. We baked some mini bread rolls, which you could add butter/spread to if you wish. Boiled some new potatoes with some mint for added flavour. 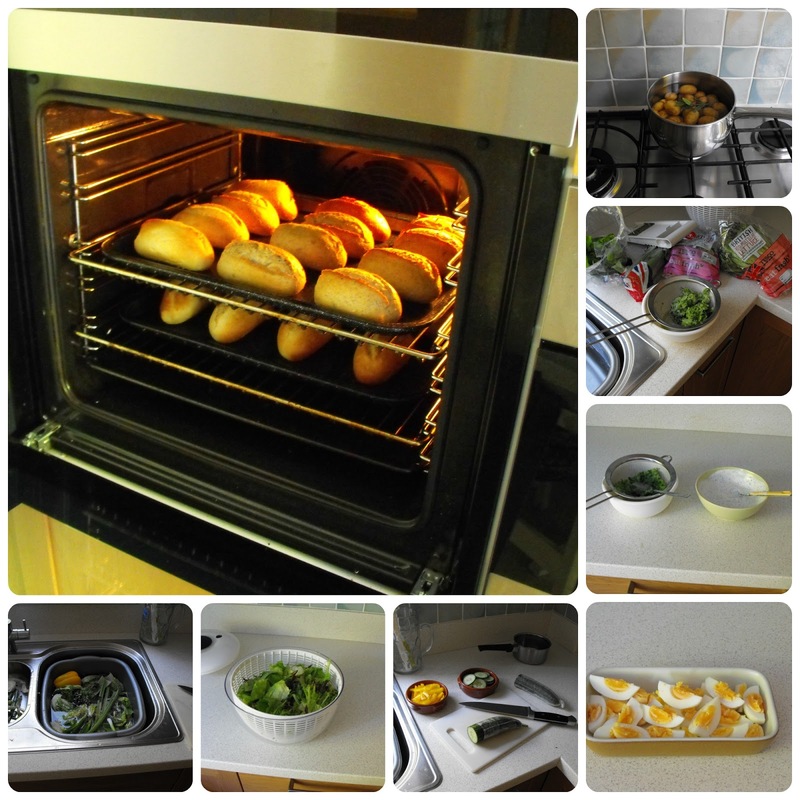 Prepared the Salad and herbs. Made a mint yoghurt to compliment the salad garnish. Cut up cucumber and peppers. Washed and prepared all the salad and herbs. The burgers and sausages before being cooked. Chicken ready to go in the oven. Pork ready to go in the oven. This was our overall spread of food for a simple BBQ as a family. (Behind the glasses is the cucumber). Also, not included on the photograph are butters and spreads for the bread rolls. For desert we had a Trifle, you cannot beat a strawberry trifle with an added touch of booze. For drinks, we had a selection of wines and juices which we already had in the cupboards and then brought some extra fizzy drinks as a special BBQ treat. Please Note. 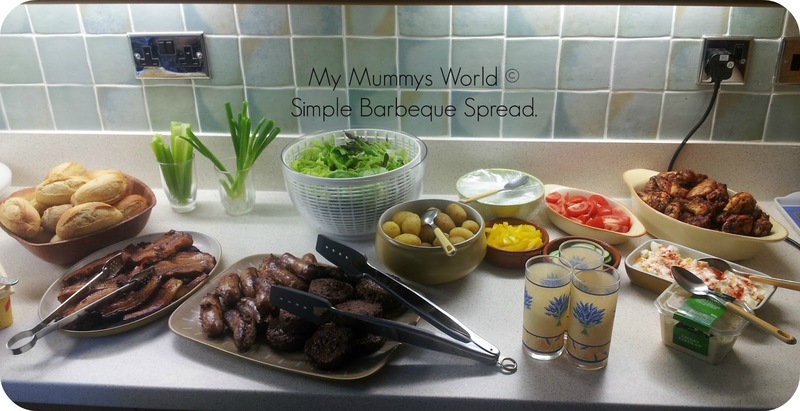 I received £50 as a payment from Money Supermarket to host this BBQ and share tips.